Although he can be utterly obliterated with certain teams (Think Iron Man, Cable, and War Machine), Abyss is cool because he takes on three forms which distinctly differ from the last. 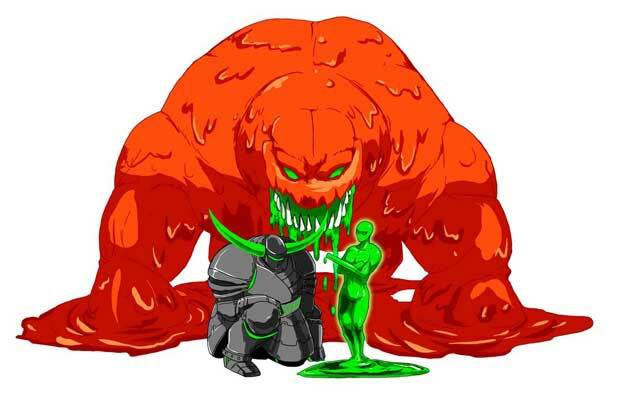 Our favorite is the second incarnation where he’s a green goop of a man who’s constantly laughing while he fires close range projectiles that won’t even hit you if you’re far enough away. But he still laughs even when he doesn’t hit you. Now that’s a boss who’s having a good time.